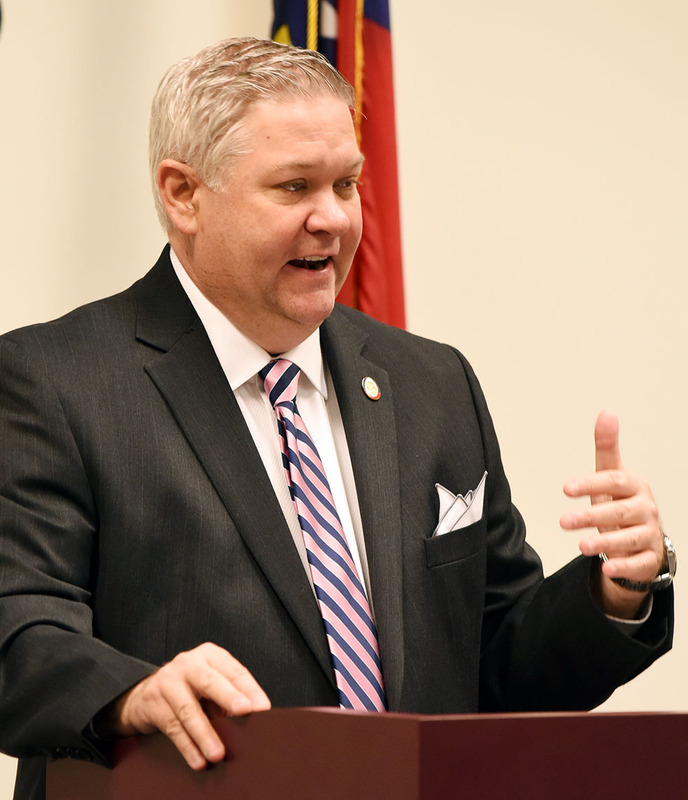 State Rep. Chris Humphrey has already filed a local bill focusing on the former issue and state Sen. Jim Perry is sponsoring legislation regarding the latter. “These guys are on it, and we should not only recognize that but celebrate them for their proactive efforts,” Williams said. Local control of the calendar would ensure high school students take exams before the Christmas break and that the academic schedules of the more than 600 public school students also taking college-level courses would align with the calendar of Lenoir Community College. Humphrey’s bill, HB 94, would give the Lenoir County Board of Education authority to set the dates for the beginning and the end of the school year, dates now set according to state requirements. A formula giving equal weight to test scores and to growth measures would more accurately reflect a school’s year-to-year performance, according to Williams. “If you’re growing consistently and your schools are making strong, consistent progress, that should certainly be reflected in the way your schools are judged,” the superintendent said. SB 319, legislation Perry cosponsors, would mandate that school performance grades are calculated on that 50-50 formula, a nod to the fact that not all students start in the same place and, due to factors they can’t control, not all schools have an equal chance at reaching that proficiency standard. In addition to the Humphrey and Perry, the breakfast was attended by all members of the school board; by county commissioners Linda Rouse Sutton, Preston Harris, Craig Hill and J. Mac Daughtey; Kinston Mayor Don Hardy; Pink Hill Mayor Carol Sykes and La Grange Mayor Woody Gurley. Principals of the district’s 17 schools and Edward Chisolm, executive director of the Partnership for Children of Lenoir and Greene Counties, and Partnership board member Lou Anne Shackelford were also in attendance. Sutton, chair of the board of commissioners, had praise both for the legislators “for not only talking but doing some action” and for the school district’s turn-around efforts in her remarks.